Brubaker's Sewing Center | "Discover the Fun of Sewing"
Welcome to Brubaker’s Sewing Center! If you love the German Pfaff sewing machines as much as we do, you have come to the right place! 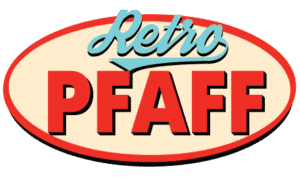 Owners Glenn (aka Uncle Creepy) and Amy Smith welcome you to our Online Store and Retro-Pfaff Service Center in Northeastern Pennsylvania. Glenn’s technical knowledge of sewing machines coupled with Amy’s application and creative skills of sewing products results in a level of professionalism rarely found today in traditional retail shops. Formerly in New Holland PA, Brubaker’s now operates an online business and ship-in service center for German Retro-Pfaff sewing machines from Northeast Pennsylvania. Our level of customer service and satisfaction is unparalleled. We welcome you, and thank you for visiting us! We offer great prices on all our threads and trims! Check out our beautiful hand-dyed threads and trims from Painter’s Threads in Germany. 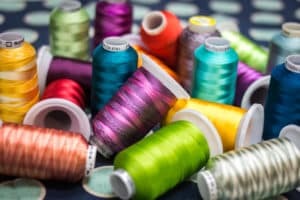 Looking for the best quilting and embroidery threads? Check out our Wonderfil threads! Wonderfil thread sets are now available in our store! We have been testing these extensively and we love the way these threads perform! Check out our signature stabilizers! Amy has custom picked these stabilizers based on her years of sewing, embroidery and embellishment experience. Our stabilizers are sold at a fraction of the “name brand” stabilizers pricing because we purchase them directly from the manufacturers. No middleman and no fancy labels…Just great stabilizers, backings and toppers at a great value! 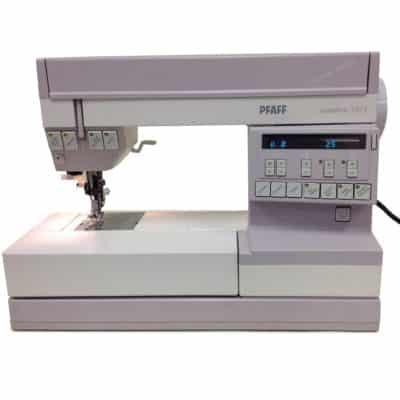 We sell Refurbished Retro-Pfaff Sewing Machines (Pfaff machines produced from 1970-1999) in our Online Store. These machines are beautiful examples of German Pfaff machines, restored to “as new” factory condition. They come with a full, one year warranty. We also sell a beautiful assortment of threads, trims and embellishments, as well as sewing and quilting gadgets that are Amy’s favorite tools. Check out our beautiful Painters Threads, which are threads, ribbons and trims, all custom dyed and coordinated. Made in Germany, these embellishments will add interest and beauty to any project you are working on. Watch for more brands of threads as we increase our inventory! 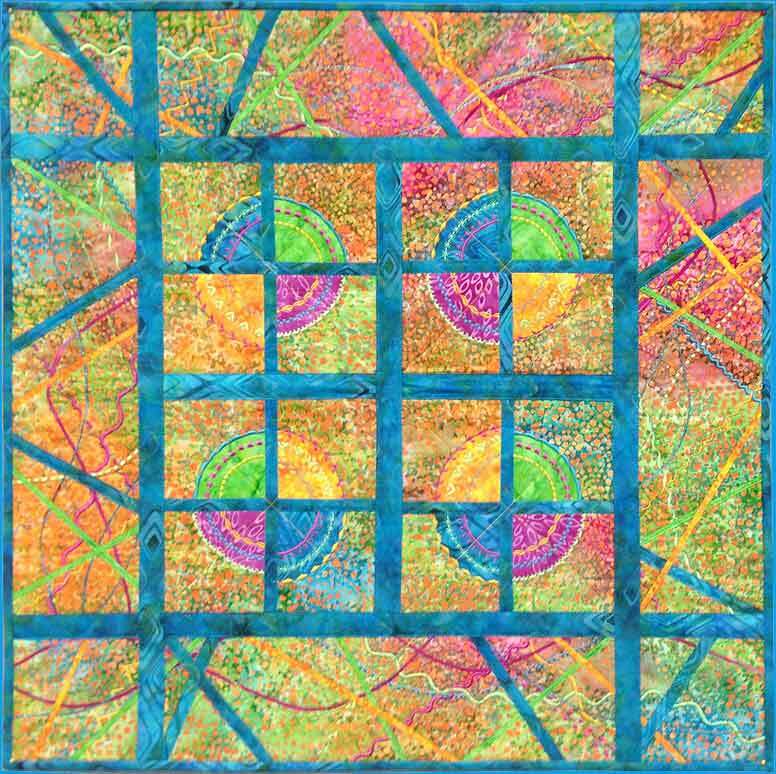 You can also explore our custom quilts, “Art”chitectural panels and wall hangings for sale. Most are one-of-a-kind, all beautifully embellished and designed by Amy. “I purchased a sewing machine foot part for my vintage Pfaff Sewing Machine. I bought it by calling and talking to a real person, then paying over the phone and they shipped it to my home in KY….The part was EXACTLY what I needed at a fair price. Our new Service Center is equipped to receive ship-in repairs of Retro Pfaff machines from all over the world. Brubaker’s fine reputation for service and repair has traveled throughout the United States and Canada. We receive machines from all over North America. It seems that once someone discovers us, they become a customer for life. 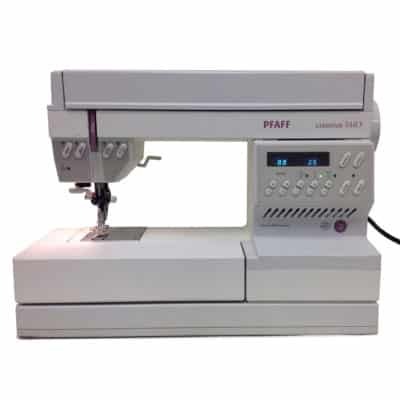 We repair and specialize in the German Pfaff machines produced from 1970 through 1999. 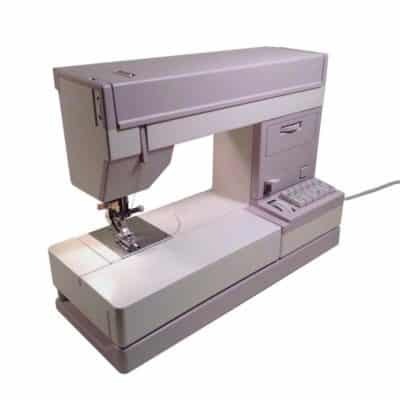 This includes the Pfaff 1200 series machines up to the Pfaff 7000 series machines. You can ship your machine to us for repair…we have daily UPS pickup and delivery. Build As You Go Machine Quilting started as most ideas do…in an effort to solve a problem. In my case, I was testing a new sewing machine. As it is not my style to waste my time with scrap fabric, I had a stack of quilt blocks to embellish. When I was finished “playing”, I had gorgeous, embellished and quilted blocks that I did not want to join with bulky seams. Using a fusible batting tape (Heat Press Batting Together) and a little ingenuity, my “Build As You Go” method was born. I am now finding that this is an exceptionally simple method for everyone, especially those of us who approach piecing a little differently than traditional quilters. My quilts are nothing more than an idea with a lot of stitches, color and texture added to the concept. I am a sewing machine person first, and a quilter second. My method has allowed me to become more creative and produce better and faster results. Once you understand the method, there are really no hard and fast rules. Build As You Go means ANYTHING GOES!